Had a wonderful stay at Vdara. Overall service were examplary, the staff and concierge were friendly and extremely helpful with our requests. The room was very clean and big, there was even a small kitchenette with a microwave and fridge. 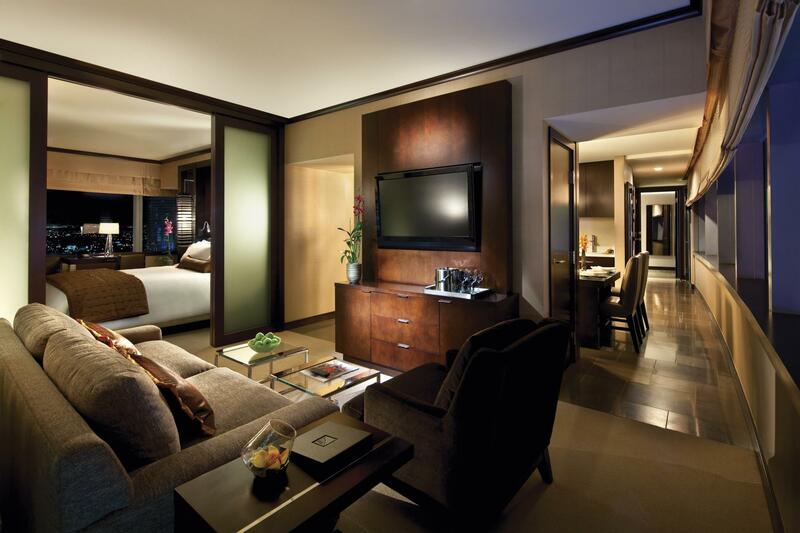 Location was also very convenient , with connections to the ARIA and Bellagio, making it easy to explore the strip. We stayed at hotels at New York and San Francisco during this trip and non of them are comparable to our stay at Vdara Hotel. We will definitely come back for our next visit to Vegas. This hotel is literally a breath of fresh air in Vegas! Smells so fresh and the room is simply amazing! A non smoking no casino hotel is the best,and just walk on through to Bellagio. We will never stay anywhere else in Vegas! Large rooms as advertised. Clean and in good location. Nice spacious bathroom, comfortable beds. There is room for improvement.No Ask for a room facing north as the large windows of rooms facing south are damaged due to sunlight = the beautiful view is ruined. For a 5 star hotel many amenities are missing such as showercaps, slippers etc. They also have a kitchenette but the cupboards are all empty. They do provide amenities upon enquiry but take it away again the next day (e.g. plates / cuttlery) and/or don't replenish (e.g. showercaps) so have to ask reception every time again. Suggestion for the management to have a simple nice signage in the rooms stating what is only provided upon request and to train their staff to replenish whatever has been used up. The rooms are new, modern and clean... We were given complimentary breakfast buffet where the buffet was sooooo good - alot of varieties and delicious! Walking distance to the stripes and i like that the ride-sharing platform is located at the lobby (some hotels the ride-sharing platform is at isolated area). We did hotel hopping and so far this was the best to stay in LV! I like that there isn't casino in the hotel which makes it a smoke free area in the lobby. The check-in is time consuming, but check out is a breeze. Internet is fast. Room is spacious, have its own kitchen area. Bed is comfortable. The toilet has the bath tub. Nearby is Aria casino and many restaurants nearby. Pros: Quiet hotel compared to the ones with casinos, pleasant smell when you enter the hotel, convenient connections to Aria, Bellagio and walking distance to Ceasar’s Hotel and Casinos. Cons: The assigned room was described with coffee maker but not available, with kitchen facilities but useless with no utilities, not customer friendly with late checkout. This is modern hotel, all rooms are suites, ours was a good size. There is no casino, no smoking, and hardly any restaurants. 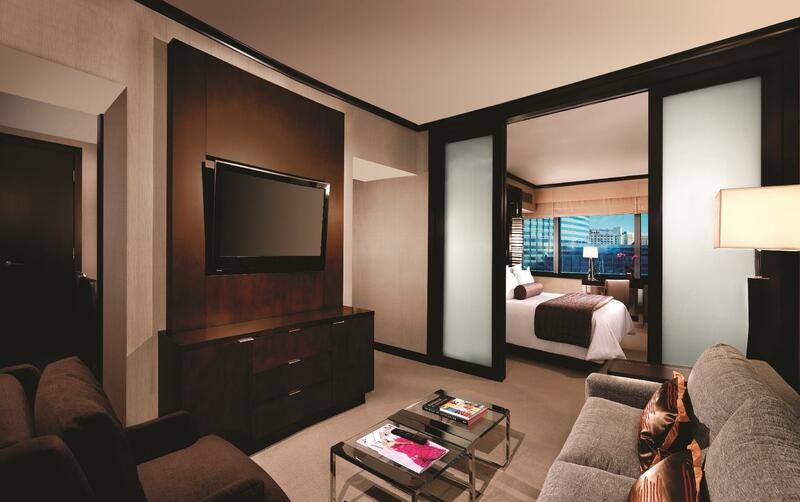 Their sister hotel the Aria which is next door has many good restaurants and all the gaming facilities you need. 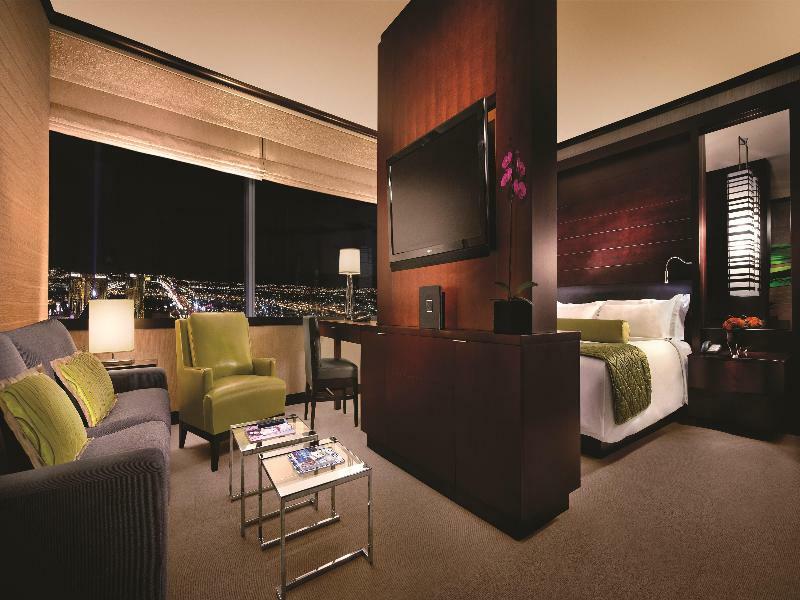 The Vdara also connects via a walkway to the Bellagio. The Cosmopolitan is also very near that too had many facilities. Great central location. Vdara is super cool. 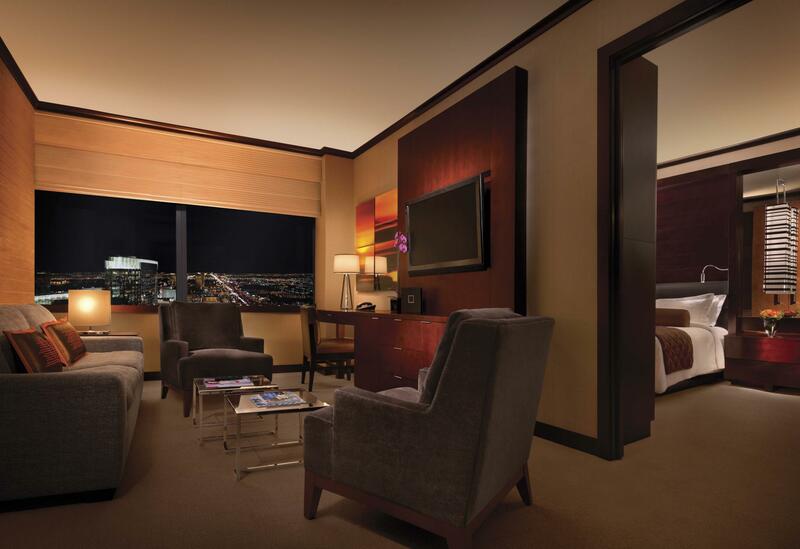 A hotel in Vegas with no casino (so none of the hype that comes with that). It has great rooms, great location, pool is kicking and poolside drinks are generous to say the least. The downstairs eating options and bars are great and the laid back relaxed vibe, kid friendly feel too is excellent. Had a great stay...thanks Vdara! The 1st room we had the bed is sink in, and soft enough for us to have back pain in the next day. Pillow are very stuffy, cause us neck pain. The room is not spacious as other mentioned, it does not have slipper/rope/shower cap/coffe matchine(surcharge, 1st ever knew a hotel charge for coffee machine), no smart tv, we don’t have connectivity to our phone so no use of tv. We requested to change the room which it has better view, but have the same issue, they help add the board on the bottom, but no help because the thickness of the matters already soft. Also, we have our lights on at noon for house keeping to clean the room, but when we back at 8pm, the room still as it is, we called and waiting in the lobby to get it clean for an hour. We have very bad 4 night of sleep, we only slept 3 hours every night, neck pain back pain, we need to see physical therapy , I didn’t even know a 5 star hotel can have such bad experience. Will not come back again. Nice clean spa hotel, but not many facilities for the resort fee that you pay. Would recommend this hotel for anyone that wants a casino free and smoke free hotel. 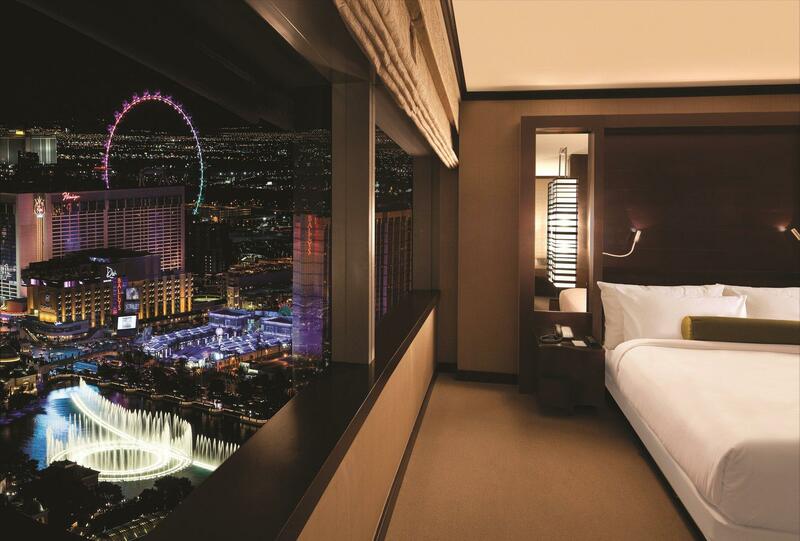 Great views of the Bellagio fountains from the fountain view suite. 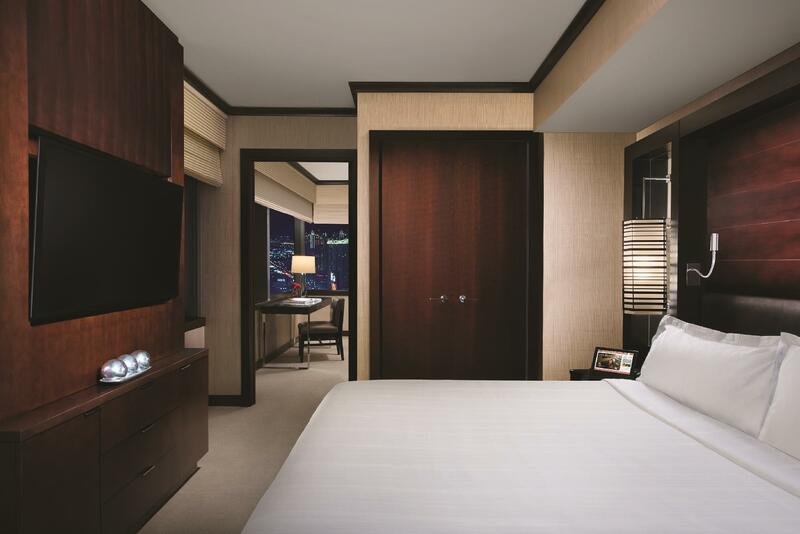 สถานีรถไฟโมโนเรล MGM Grand - ระยะ 1.29 กม.